For upstart writers, there are some things you can do to hone your abilities and reach the next level in your writing capability. Here are some tips for writers, whether you are writing a novel, script, poem, memoir, or play. Regardless of your medium, if you like writing and want your work to be better, this article is for you. Classic literature is certainly an acquired taste for most people. I remember absolutely despising my English teachers who required us to read and write about books I thought of as boring, overly wordy, and completely irrelevant to my life. It is a shame that until I was a senior in high school, that is how I viewed great works such as The Taming of the Shrew, To Kill A Mockingbird, and The Great Gatsby. When I took a creative writing class, my teacher was so passionate about the literature we had to read, I couldn’t help but enjoy it, or at the very least appreciate it. Reading classical literature, at a basic level, helps you as a writer appreciate the long tradition of world literature and gives you a cultural frame of reference. It enriches your writing not only because you are exposed to the skill with which those classics were written, but it also provides a platform for inspiration. The award-winning movie O Brother, Where Art Thou? is famously adapted from Homer’s Odyssey. The TV show Sons of Anarchy is based on William Shakespeare’s Hamlet. Even in the Harry Potter books by J.K. Rowling you can see influences from Gothic and Romantic literature such as Charlotte Brontë’s Jane Eyre. 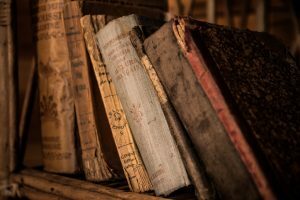 A firm understanding of the classics gives you as a writer a rich and extensive cultural foundation that you can use to create the next big thing and add to our cultural heritage. It might very well be an acquired taste, but the nutrition it gives you is well worth it. This one might seem like a no-brainer, but it’s a fact a lot of new writers like to forget or willfully ignore: You have to learn the rules! You need to learn how to properly construct a sentence before you can hope to write anything of substance. The art of taking a completely abstract thought and translating it onto paper is difficult enough without having to improvise your way there. The English language, comparatively simple and fluid as it is to other languages, has a set of rules for conveying such thoughts. Without learning the rules of grammar in our language, you can’t hope to take a list of random words and organize them into a cohesive idea. A major grammatical devise that is often misused is the comma. The comma is a powerful punctuation that can alter the meaning of a sentence drastically should it be placed incorrectly. It’s the difference between “I got hungry so I ate Dave” and “I got hungry so I ate, Dave.” Learning proper grammar is not just a rule. It can also be a tool. Knowing proper grammar and writing with it helps you recognize when to break a grammatical rule to draw attention to something or add detail to a character’s speech. For example, if a character says: “You is silly,” or “You be silly” instead of “You are silly,” you are using your knowledge of grammar to break the rule and add texture to your writing. One of the best things a writer can do for themselves both socially and for their craft is to join a writer’s group. You can find writer’s groups all over the Internet, many of which meet up regularly, maybe at a coffee shop near you! Writer’s groups operate on a sort of feedback loop where you get what you put in. You have to read other people’s work if you want other’s to read yours, and this is a wonderful thing for growing as a writer. Exposing yourself to your peers’ work and criticism cannot only enhance your work, but your worldview as well. We all live inside our own heads, and having a chance to look inside the head of someone else, someone you know, is a massive insight. On a utilitarian level, you are given the chance to better yourself as a writer by getting constructive, informed critiques on your writing and building a network with fellow writers. On a more holistic level, you are allowing yourself the chance to open up and view the world in new and exciting ways, and yes, that will help you become a better writer as well. As much as we don’t like to admit it, your brain is a part of your body. How you treat your body is how you treat your brain. 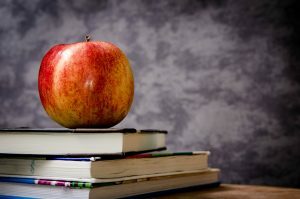 As I explained in my World of Imagination blogs (read part 1 here and part 2 here), it is imperative to take good care of your health. The amount of blood flowing to your brain directly influences how you think and work. If you don’t exercise or walk regularly, eat well, or get enough sleep, your brain will slow down, and you’ll find it harder to focus than you would otherwise. This can directly impact your ability to write and think creatively. Going on walks outside promotes creative thought and focus, and being outside greatly reduces stress. The colors blue and green are also associated with creativity; it is no coincidence that those colors are in abundance outside. So, if you find yourself running into some writer’s block, a great solution would be to take a stroll outside and get some fresh air. Whenever asked how an aspiring writer could improve their craft, nearly all acclaimed writers respond “practice daily.” Even if it is for only a few minutes, and you only manage to scribble out a couple of sentences, practicing makes each time better than the last. If you have a goal to finish a project, this is an affective way to chip away at your beastly novel or daunting script. Stephen King has said that he writes 10,000 words every day whether they are garbage or gold. George R. R. Martin says some days writing is hard, and he can only manage a paragraph a day. They both agree that daily writing is a must for an aspiring writer. 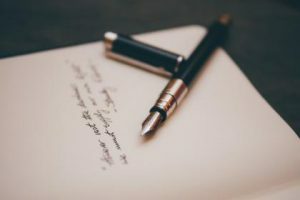 A great way to get into this habit is to figure out at what point of the day you find you are most creative, and put at least a few minutes aside each day at that time to write. Even if you end up scrapping it the next day, you are exercising your creative and literary muscles, making it stronger and more flexible each time. Writing for beginners can be difficult. It is an art that requires discipline and dedication. But creating worlds with words is, in my opinion, one of the most rewarding things a person can do. 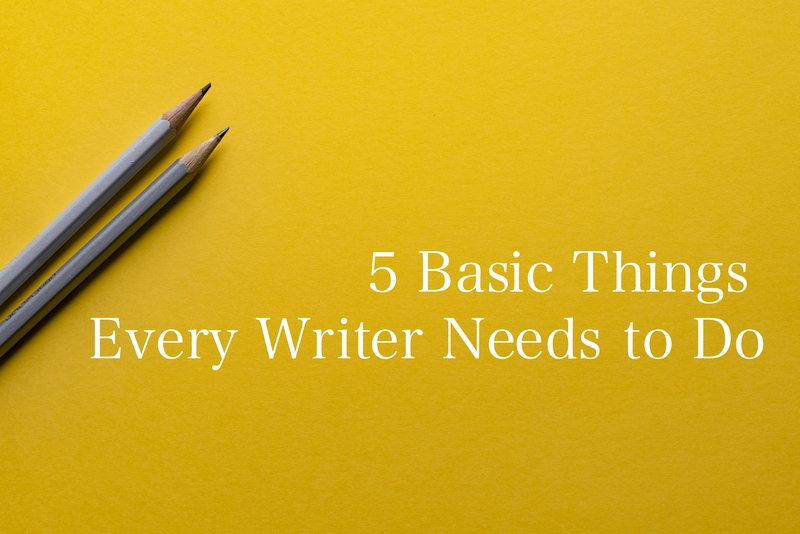 I hope that these five tips will help you in your endeavor to become a better writer and create something new and exciting. What additional tips have you used to nourish your writing skills?